Srushti Desai is a senior at DGS and one of the Co-Editor-in-Chiefs for Blueprint. She enjoys playing sports such as badminton and soccer. Desai has been on the DGS badminton team since her freshman year, and wants to play this year in hopes of having a full circle high-school experience. 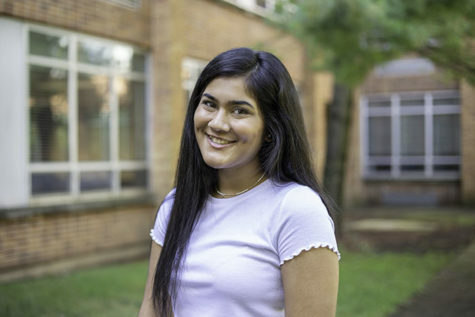 Desai enjoys spending her freetime helping others by doing community service, and is currently a volunteer at the Advocate Good Samaritan Hospital. She also helps people at school by being involved in many clubs and activities: Peer Leaders, Mad Dash, student council and math tutoring. She plans on getting a biomedical or computer engineering degree as she moves on from high school. Desai hopes to achieve this goal keeping these colleges in mind: Bradley University, Marquette University and Purdue University.